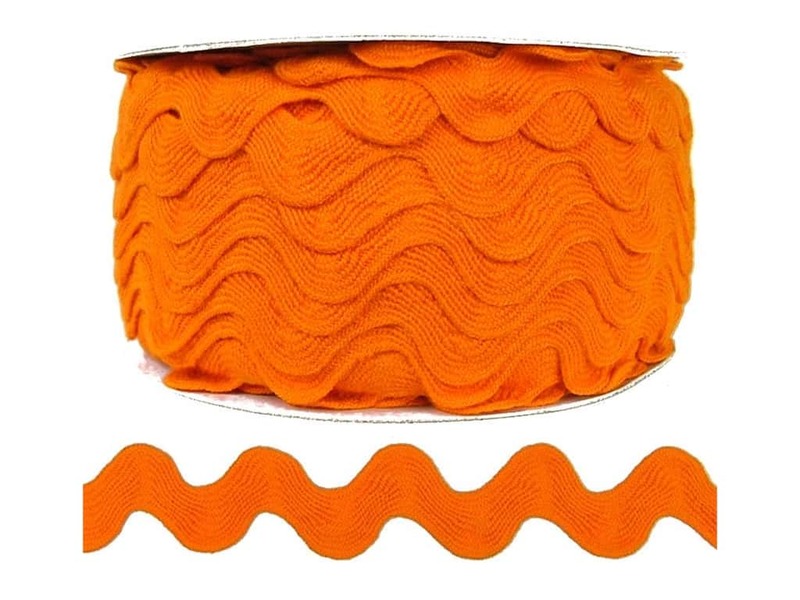 Description: Use Cheep Trims Ric Rac to add color and dimension to pillows, curtains, blankets, home decor, handbags, apparel, scrapbooks and more. Attach the Rick Rack trim by sewing, with brads, eyelets, adhesives and many other choices. Safe for scrapbooking & memory albums. 100% Polyester. 1 inch. 24 yards. Orange.